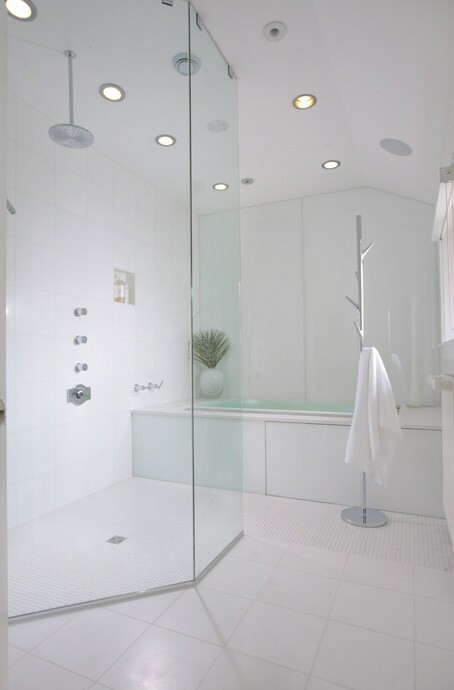 Step into luxury with the new standard in shower design. 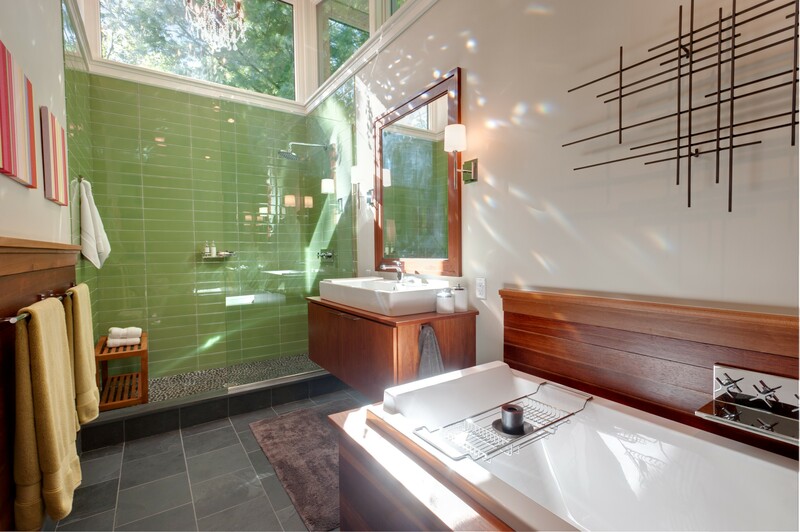 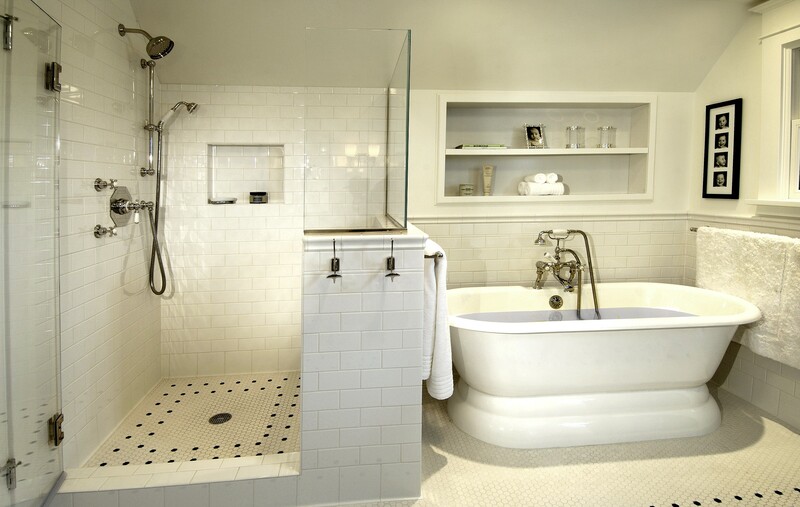 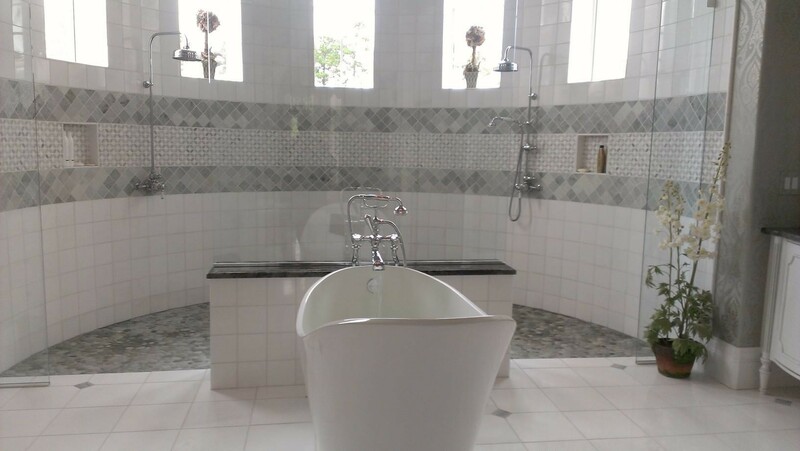 If your home is like that of most Americans, then you probably have a shower tub combo. 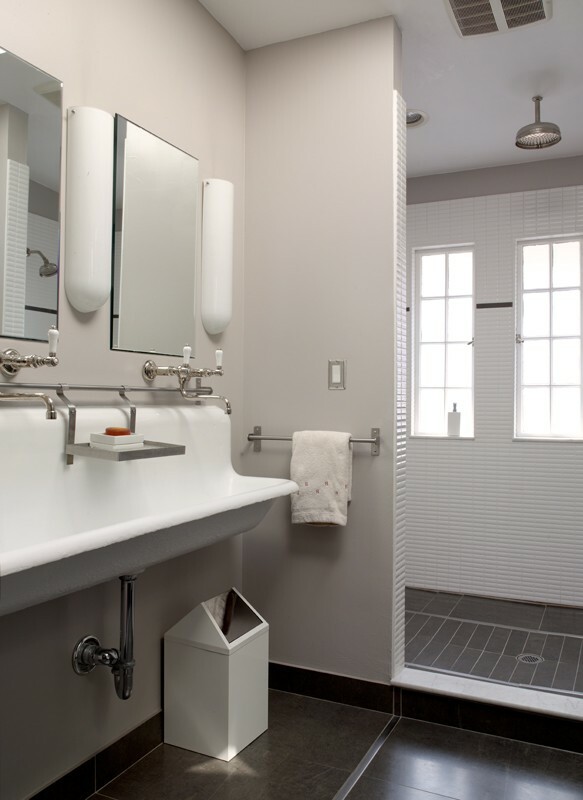 This bathroom staple became popular in the 1940’s, when small “efficiency” homes proliferated across the United States. 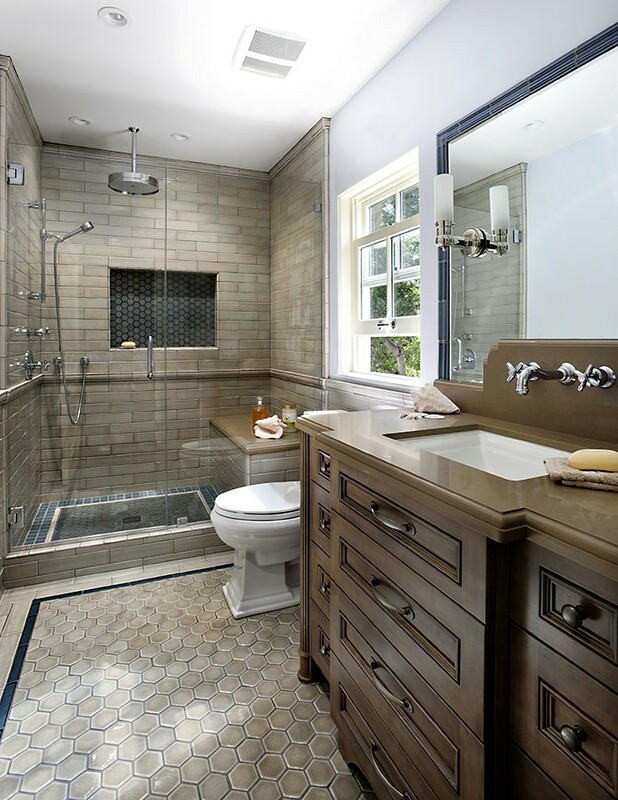 But efficiency has its drawbacks. 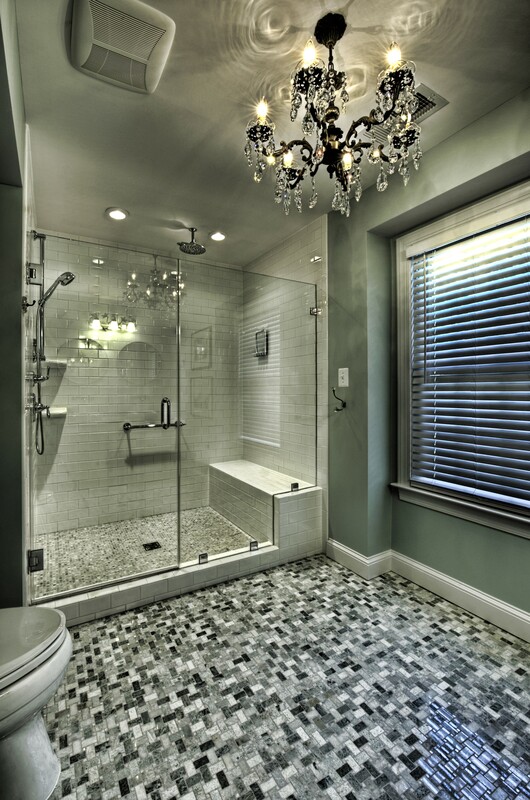 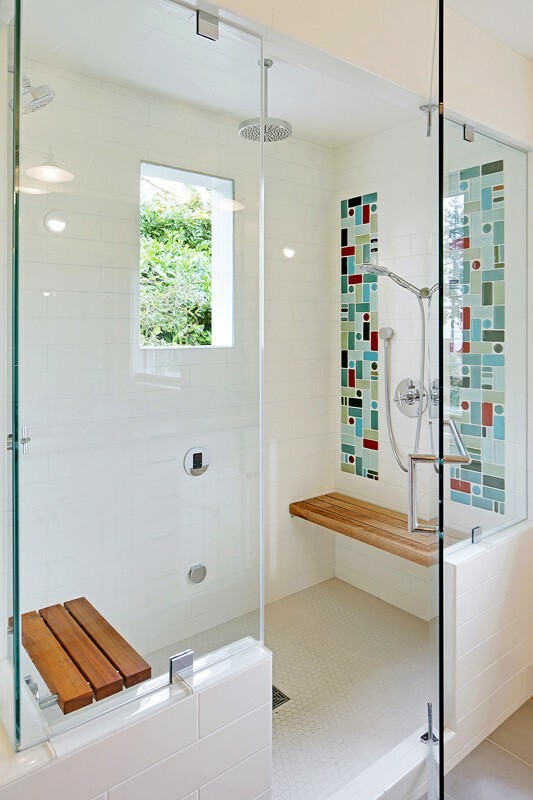 Slowly, but surely, the step-over walls and slippery floors of the shower-tub combo are being replaced by the safer, more comfortable, and more beautiful alternative: the walk-in shower. 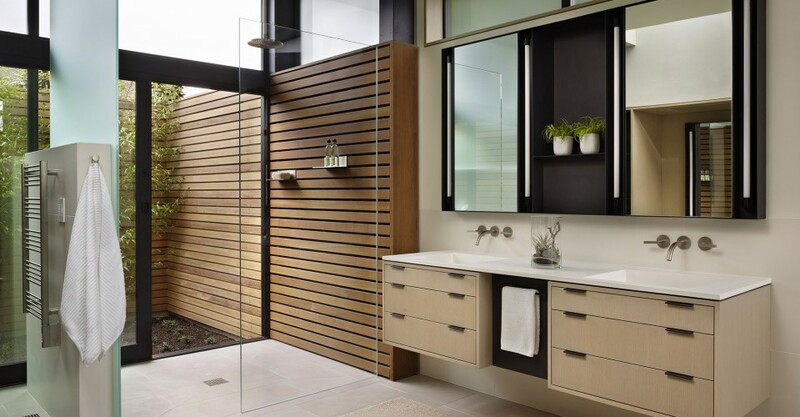 These walk-in showers are the new generation in bathroom renovation. 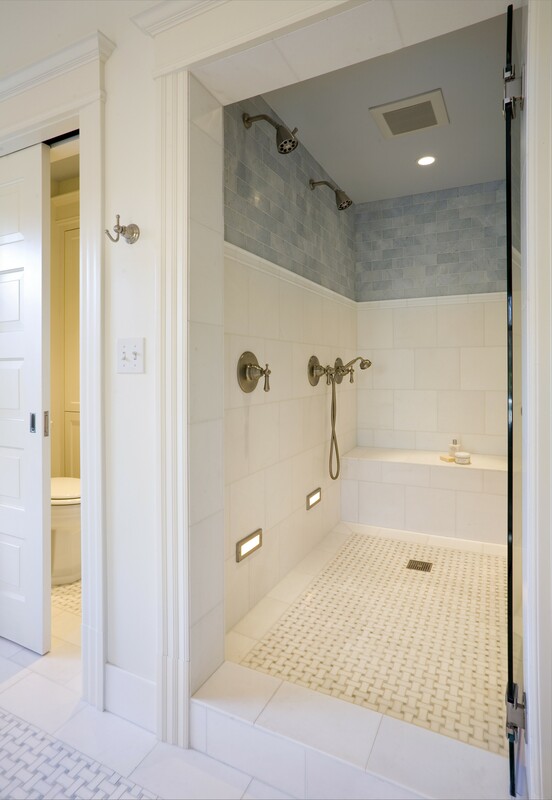 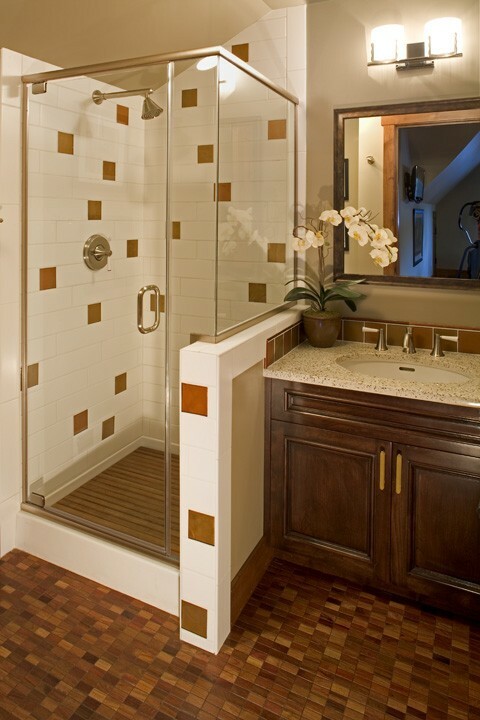 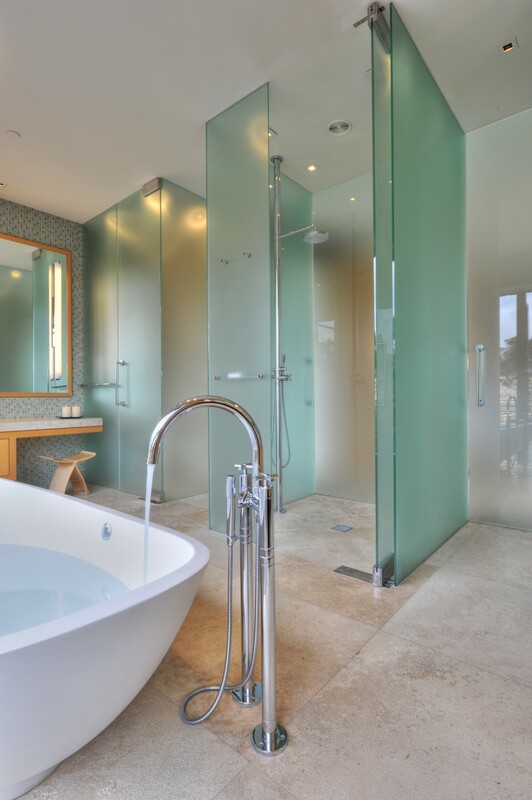 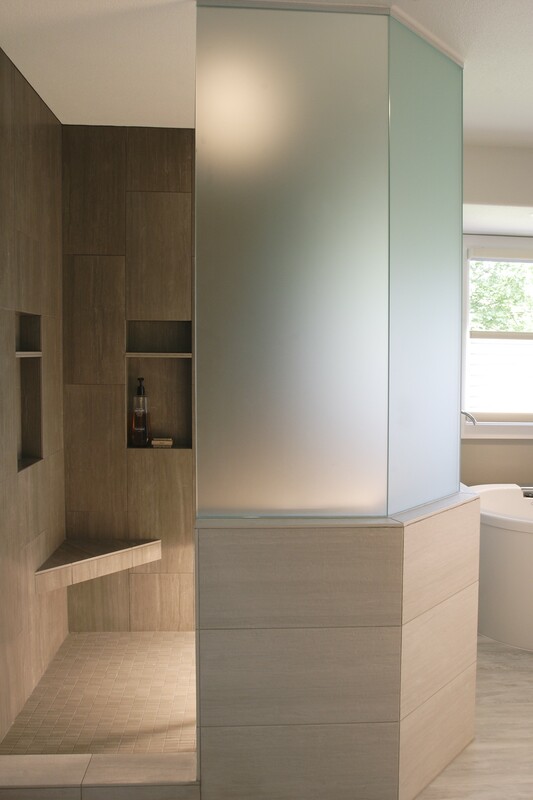 Blending seamlessly into any bathroom design, walk-in showers offer a beautiful and practical alternative to a shower-tub combo. 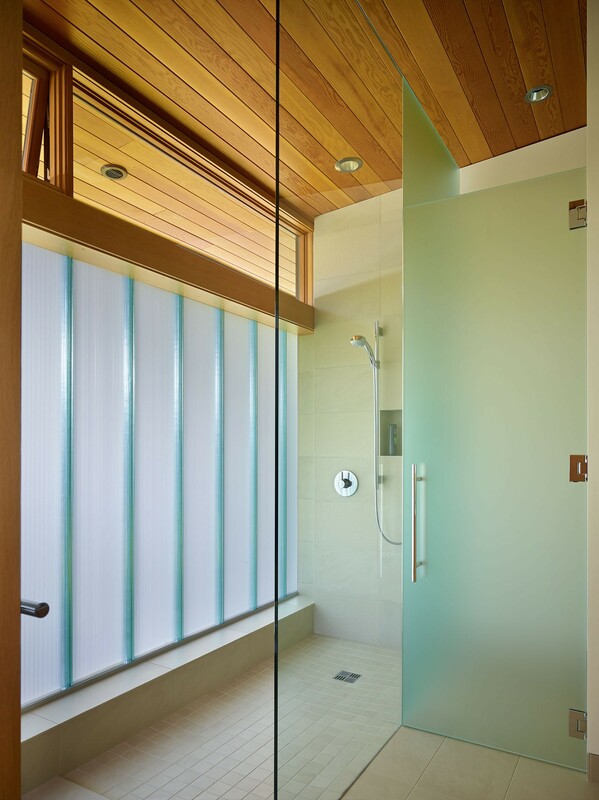 Take a look, and let us know what you think of this new shower standard in the comments! 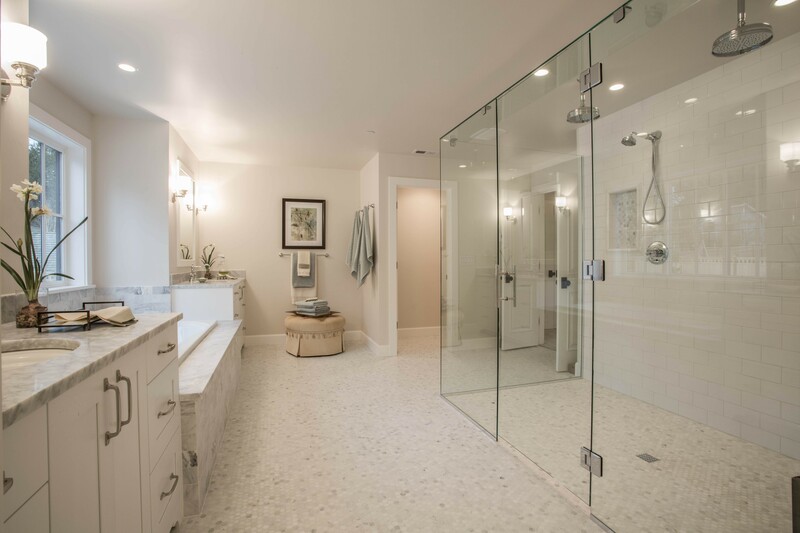 Project completed by De Meza + Architecture, Inc.
Project completed by Paulsen Construction Services LLC.